The Sisters of St. Francis of Mary Immaculate founded our sponsored institutions. Today our Sisters can be found serving on the faculties, executive and administrative staffs, and the boards of the institutions. Founded in 1920, it eventually became the College of St. Francis in 1930. 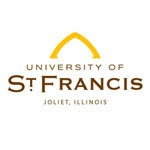 Today over 1,600 men and women attend classes at the University of St. Francis campus in Joliet, Illinois, and another 2,100 are enrolled in off-campus classes at locations throughout the United States. 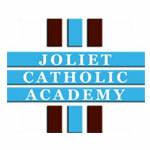 The result of the merger of St. Francis Academy and Joliet Catholic High School in 1990, Joliet Catholic Academy is a college-preparatory high school sponsored jointly by the Sisters of St. Francis of Mary Immaculate and the Carmelites to prepare young adults for college and for life. The focus of JCA is on challenging students to grow intellectually, spiritually, morally, emotionally, physically and socially. 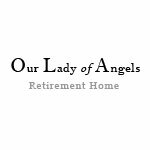 Since 1962, Our Lady of Angels – the first faith-based continuing care senior living community in Joliet – has been providing loving, Christian care in a life-giving atmosphere where residents enjoy peace of mind, receive physical and emotional support and are provided with social, recreational and spiritual opportunities. In 2007, a skilled nursing and rehabilitation nursing center was added to enhance the continuum of care by offering Medicare certified service. 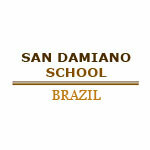 Located in Goiânia, Brazil, Instituto San Damiano, was founded in response to the needs of the community. The school opened in 1970 with 100 students. Today, more than 900 children receive an elementary school education at the school. Led by the Spirit, we embrace the Gospel life by commitment to Franciscan values and respond to the needs of our time through prayer, community and ministry.